Congratulations!! Tell me all about it next time you're online!!! I wish them all the best in they life. Congratulations to the two of you. Best wishes for your future. Amber and I will need to visit you (and Scotland) during our next visit. Wow! Thank you guys. Thanks to Les & Cleo for joining us on our special day. Back to work now! Have been out on a loop re. 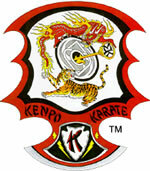 Kenpo training for a while but I'm back. Scotland IS still on the map! Many of you have Scottish roots so come and look us up sometime. Look forward to seeing you all in March. Catch up with you online Giles! Happy hols. Congrats, Sonja and Bill! I wish you the very best in your journey together.